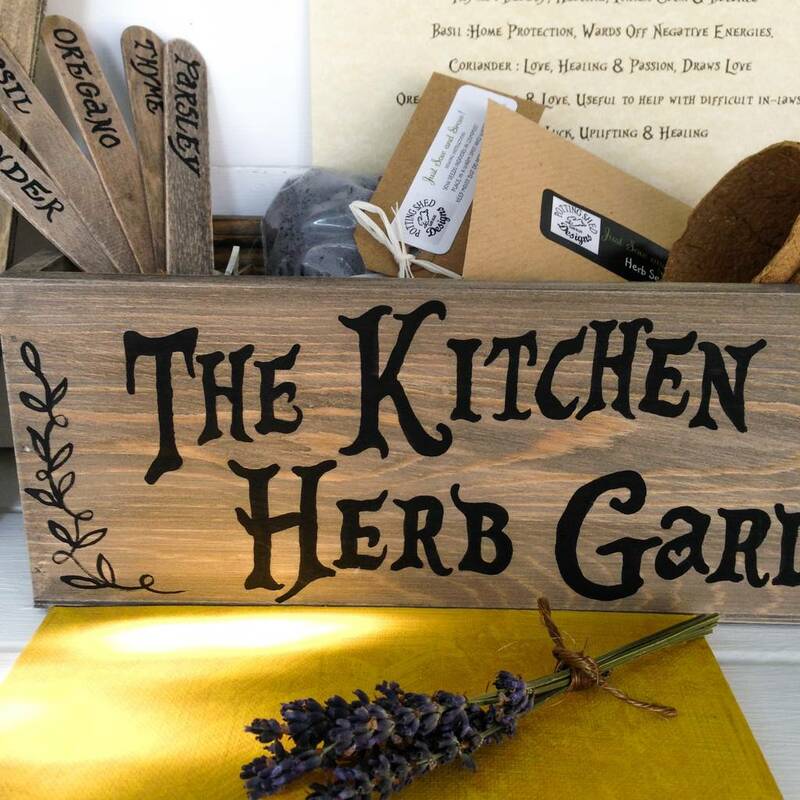 A personalised Hand Painted kitchen window box, complete with herb seeds,compost,pots & markers. 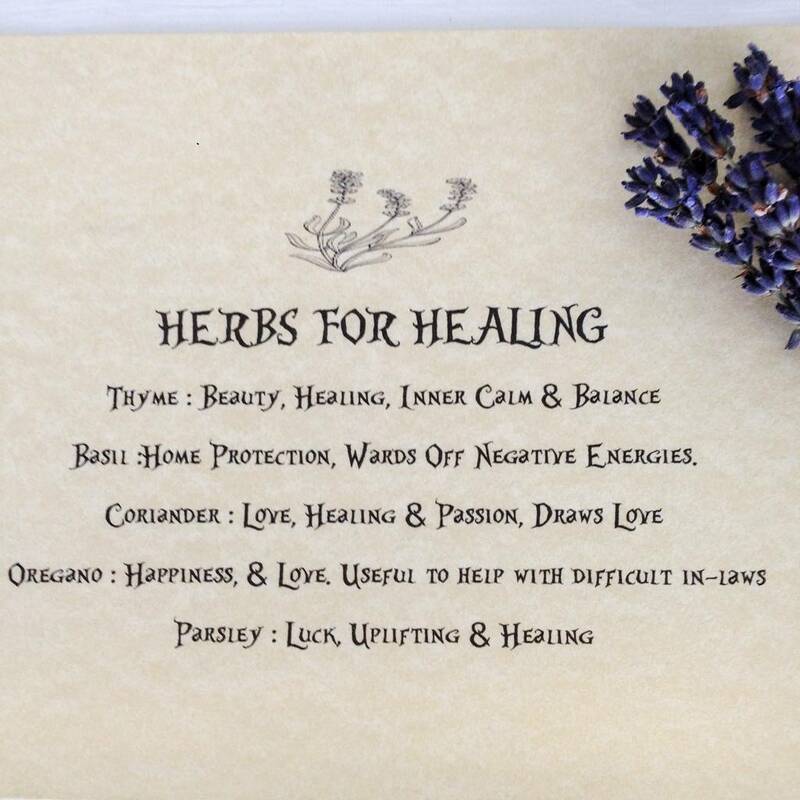 'Herbs for Healing' card included with herb meanings. 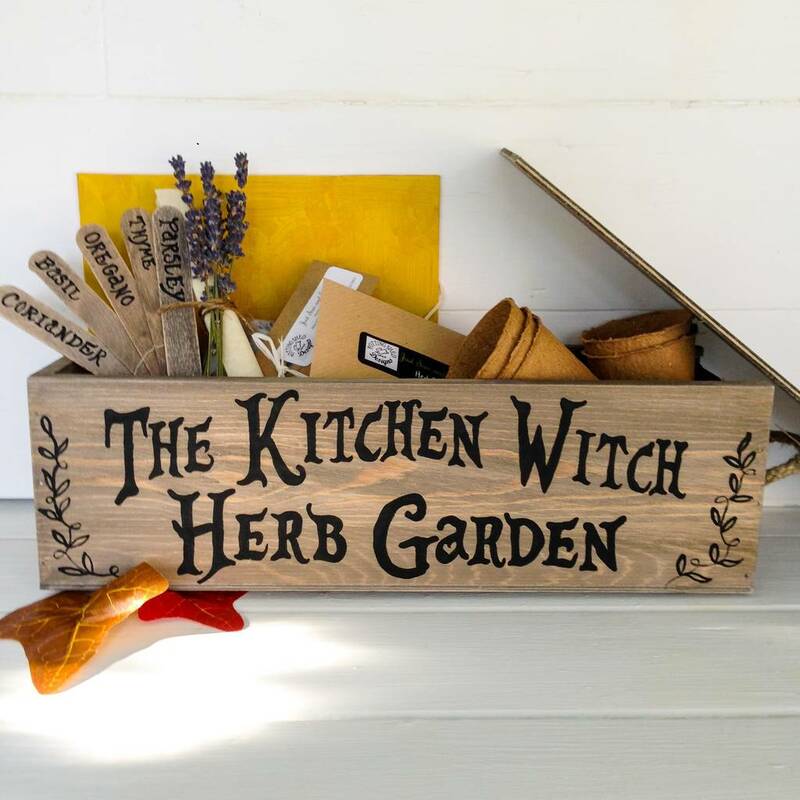 A gorgeous wooden sow your own seeds box store is the perfect way to grow herbs on your kitchen windowsill. 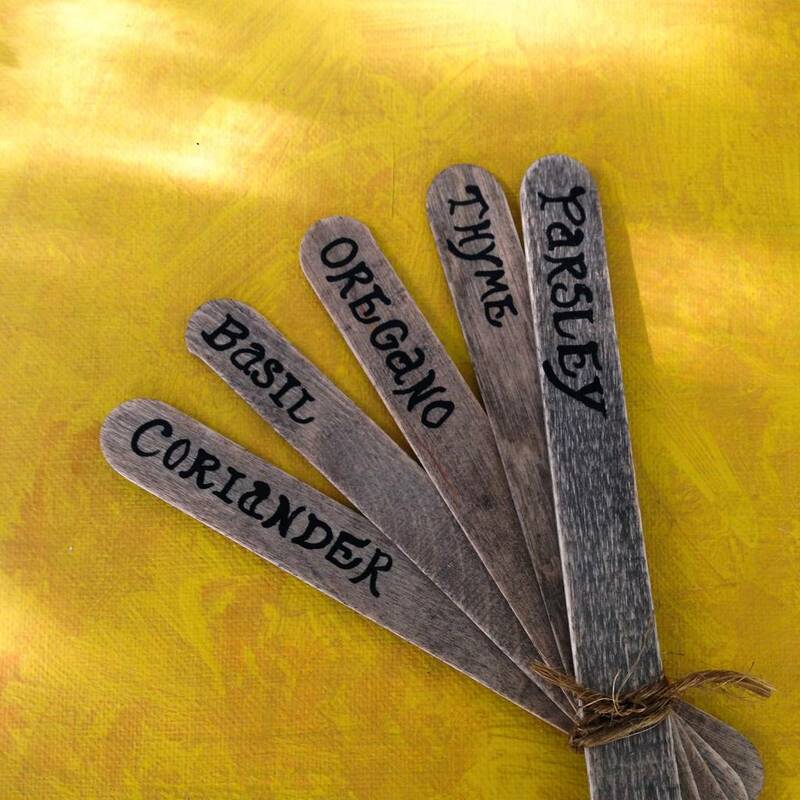 Included are 5 varieties of herbs plus 5 little fibre pots,grow fibre and 5 plant markers, just pop the fibre in the pots, sow the seeds and wait! 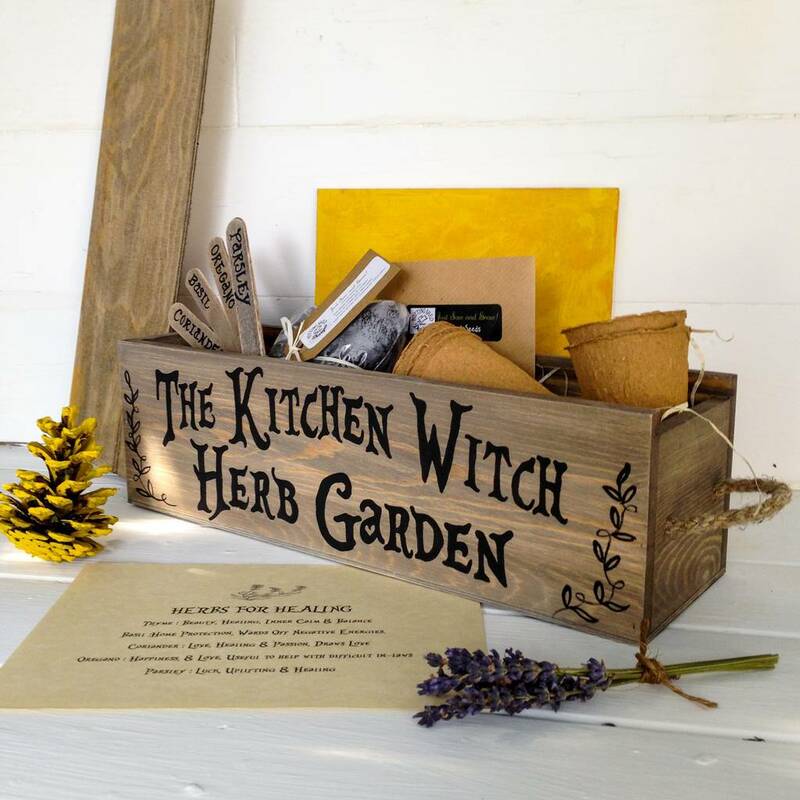 This unique window box makes a thoughtful and unique gift for any occasion but especially for Mother's day, Father's day, anniversary & wedding and birthday gifting. A 5th wedding anniversary is classed as 'wood' so this would also make a useful gift for that occasion too, as well as a 'Thank You' gift. 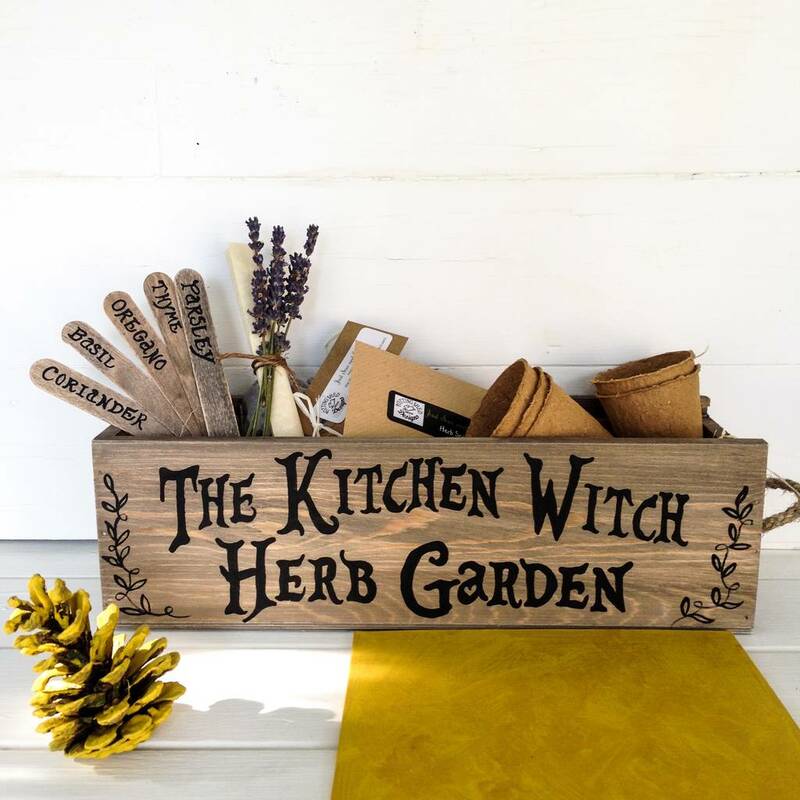 Everyone knows that home grown herbs are the best and this gorgeously rustic complete wooden herb box blends so well with any decor too! Hand painted decoration on front of window box. Thyme (for Beauty, healing, inner calm & balance). 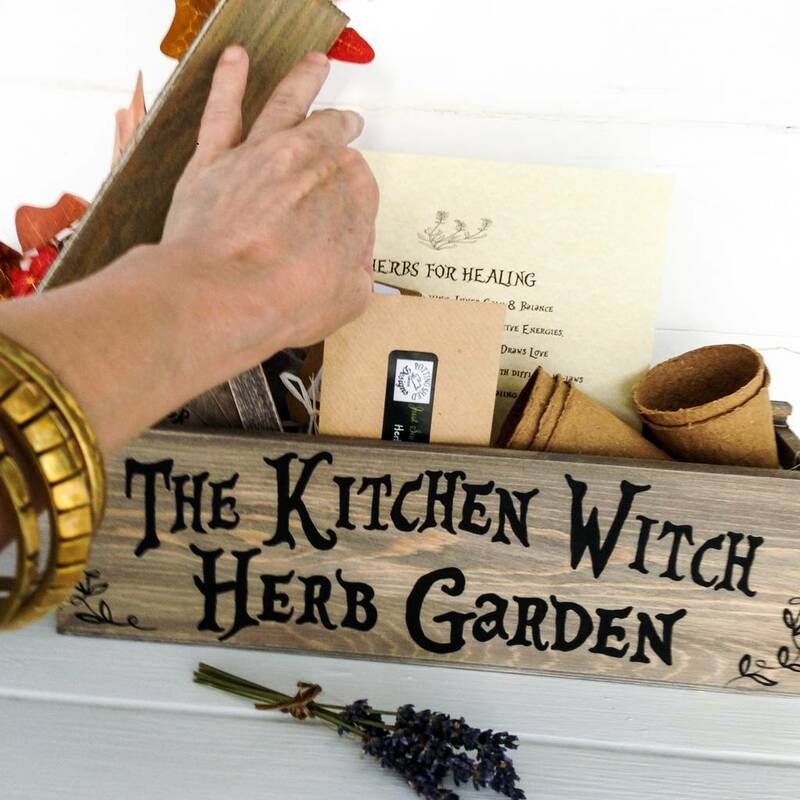 You can personalise the top and bottom lines and have up to 20 letters for the top line and 12 letters for the bottom line on this beautiful herb garden box. Sustainably sourced wood with jute hanger. Wipe clean with damp cloth. Wax finish. Just pop some potting compost into each of the 5 containers, sow the seeds in the compost and lightly cover. Sprinkle with water (don't drown, just keep moist). 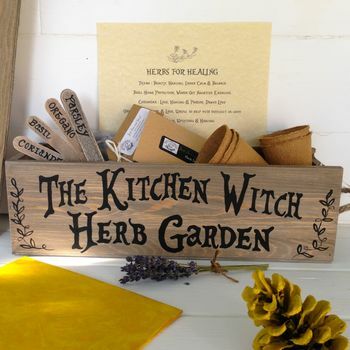 Wait for your herbs to grow! Approx 32cm long x 10cm wide x 10cm deep. 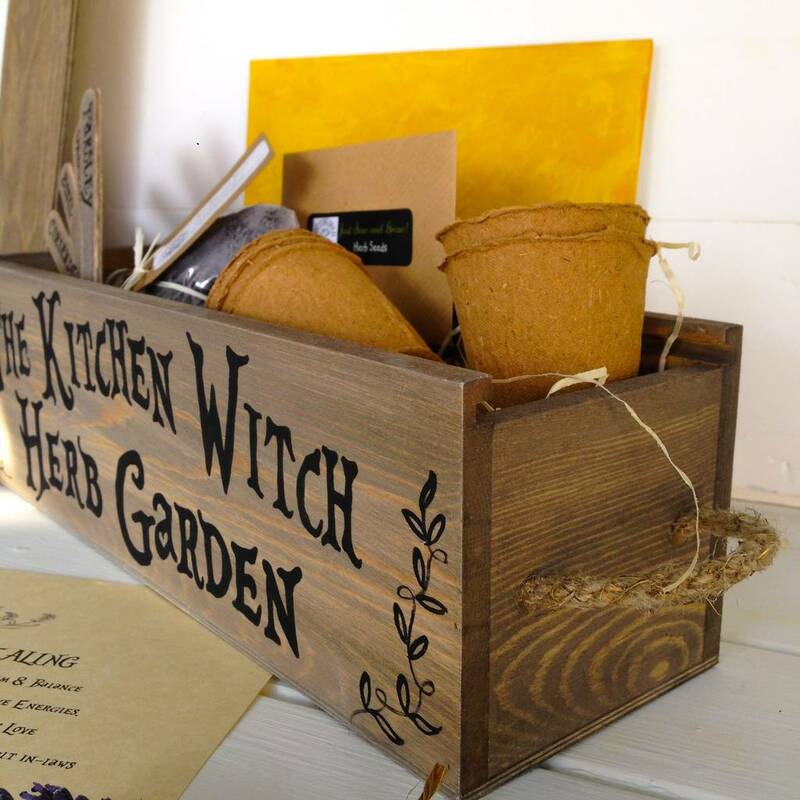 This product is dispatched to you by Potting Shed Designs.